Our varied booking options cater for any event – wedding & corporate entertainment, over dinner music, singing waiters, and a sensational full 17-piece big band. 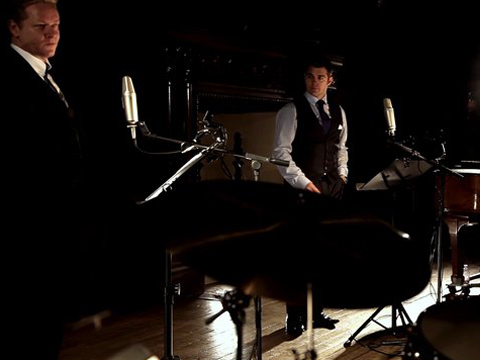 The Rat Pack Boys performing to professionally recorded backing tracks – A great option for any size of venue, Tommy and Jonny can perform any of the original swing classics to fully orchestrated backing tracks. This option gives you the versatility of a huge selection of the big band classics if you haven’t got room for our live swing band. Perfect for Wedding & Corporate Entertainment. 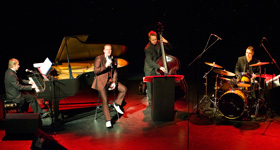 The Rat Pack Boys performing with piano – The perfect choice for a laid back atmospheric experience over dinner or simply background music whilst sipping cocktails. A sophisticated way to warm your guests up for the evening, our pianist is also available to play background music as a solo performer, and has an endless repertoire to choose from. Piano, bass and drums performed by three professional musicians who’ve worked with some of the worlds greatest recording artists, recreating a diverse mix of swing and rat pack classics in our own unique style. 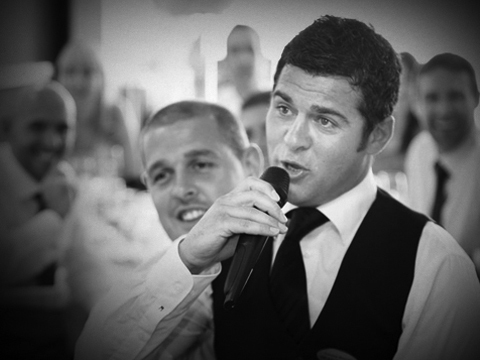 Perfect for Corporate & Wedding Entertainment. The Rat Pack Boys performing with their 7-piece band. Piano, bass, keyboard, 1 trumpet, 1 trombone and 2 saxophones. Seven passionate, award-winning musicians with a long list of credits to their names, recreating the big band sound. More Details about our Swing Band We can also offer showgirls with any of our options they add a colourful and exciting twist to the show, they also available to meet and greet your guests on arrival. 4 x Trumpets / 4 x Trombones / 5 x Saxophones / Piano / Bass / Drums / Guitar. The big band sound at it’s best if you have the room to fit them all in! THE RAT PACK BOYS AS SINGING WAITERS IF YOU LIKE SURPRISES THIS OPTION NEVER FAILS TO DELIVER! 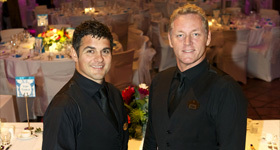 The boys have performed as singing waiters throughout the world and it’s a great option to get your event off to a swing. We do offer different surprise options to suit your event. 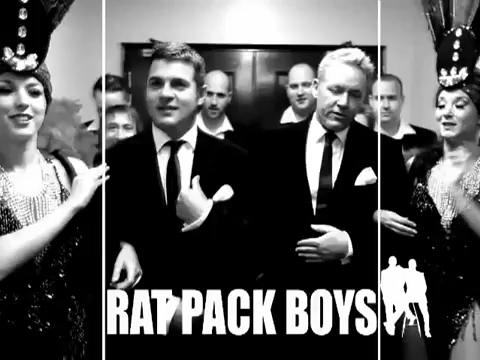 Our Rat pack tribute is perfect for wedding & corporate entertainment. Songs made famous by Frank Sinatra, Dean Martin and the ultimate showman Sammy Davis Jnr. Big band classics that never go out of fashion, songs like ‘Fly me to the moon, ‘Ain’t that a kick in the head’, ‘Mr. Bojangles’, ‘That’s Amore’ and of course ‘New York New York’! Performed in the style of the original artists with the same slick delivery, humour and banter that made these guys legends.We have performed with our big band for many years throughout the world with our own successful show at theatres, private parties and also corporate events. 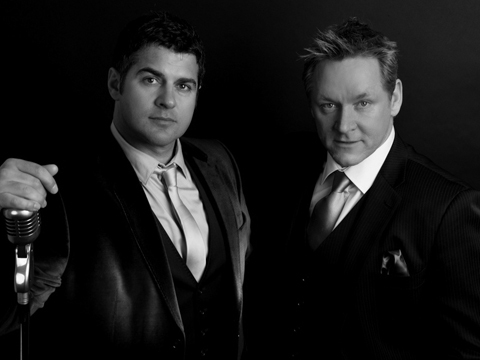 This invaluable experience has made us one of the most in demand swing and rat pack tributes in the Uk.We are available to professional backing tracks, three, seven and seventeen piece big bands whichever option you choose you’re guaranteed a night to remember and an unforgettable journey back to when the kings of cool ruled over Las Vegas. We can also provide on request professional dancing ‘Vegas Showgirls’ to compliment any package, a great addition if you’re planning a Rat Pack themed corporate event. 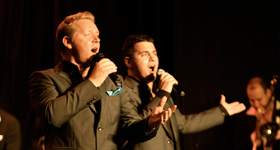 We can also perform songs from a combination of all the great artists and crooners from a bygone era up to present day. Music from The Rat Pack, Michael Buble, Tony Bennett, Nat King Cole, Andy Williams…All of ‘The Legends Of Swing from the big band era.This option is a montage of all of the artists that have contributed to the swing era past and present. 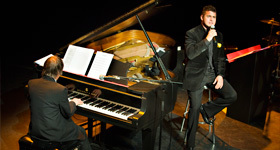 With such a wide repertoire of great songs to choose from the list is endless, contemporary ballads by Michael Buble combined with swing big band classics that have stood the test of time and loved by several generations of music lovers. 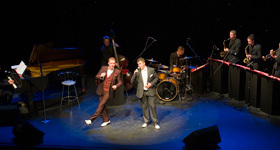 We have performed our ‘Legends of Swing’ show to audiences throughout the UK and overseas and are currently at theatres in the UK .Why not come and see us in action with our swing band at one of the many theatres we perform at every year. This tribute is perfect for wedding & corporate entertainment.